DO YOU KNOW ABOUT THE NEW SPEEDING PENALTIES? 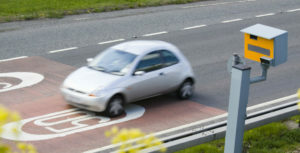 IIB Insurance » News » Company News » DO YOU KNOW ABOUT THE NEW SPEEDING PENALTIES? The HM Treasury will soon be receiving more on top of the £45million it scooped in a four-year period, courtesy of the mistakes of others on the road. Over 100,000 speeding fines are issued every year, and a recent magistrate review will now see the worst offenders having to pay 50% more. Those caught using their mobile phones while driving are already affected by changes which came in on 1st March. The penalty has doubled both with regards to money and points, to £200 and six points on your licence. But as of the 24 April, speeding fines are changing with the three-tier system. When it comes to fines, matters get more complicated. The minimum speeding ticket penalty currently stands at £100, with a cap on £1000 on dual carriageways. The £2500 cap of motorway speeding will remain the same, but more offenders will see that higher limit enforced. Those which fall under Band C could expect a fine which is 150% of their weekly income, and a possible 56-day ban. On the other end of the scale, Band A lawbreakers will be asked to pay a fine that equals half their weekly wage, although this could be adjusted in the context of time of day, population density and weather. If you’re having trouble securing insurance due to unspent driving convictions or points on your licence, get in touch with Independent Insurance Bureau ltd to see how we can help.